We are pleased to announce that Justus Liebig University has been approved as a full member of the USCA. Congratulations to Alex Haas and his team! We are very excited to have our first European full member. JLU became an Associate Member in 2014 and began working diligently to meet the criteria for full membership. "I strongly recommend JLT for USCA Full Membership Status. Under Dr. Haas the sales program has done an outstanding job recruiting students, partners, and securing resources. The Doctoral Program in Sales has greatly enhanced the visibility of sales at the university and the graduate and undergraduate programs offer considerable sales curricula. In some ways the program is impacting the delivery of other areas in the Business School, and particularly with regard on how theory can shape business practice." 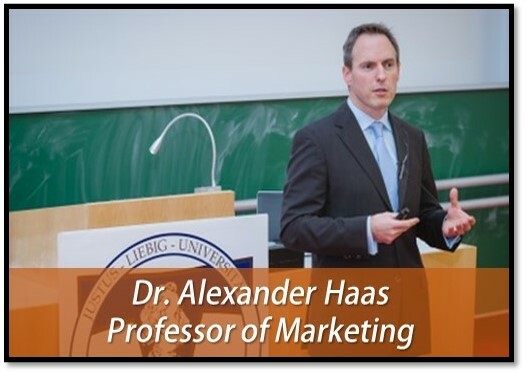 Congratulations Alex Haas and the rest of the Justus Liebig University team!